Modern or Western acupuncture fits with a modern understanding of human anatomy and physiology. It is used as a means of enhancing pain relief via the stimulation of the brain and spinal cord to produce natural pain relieving chemicals. These assist the body’s healing process and the pain relief produced can then enable manual or exercise therapy to be performed. 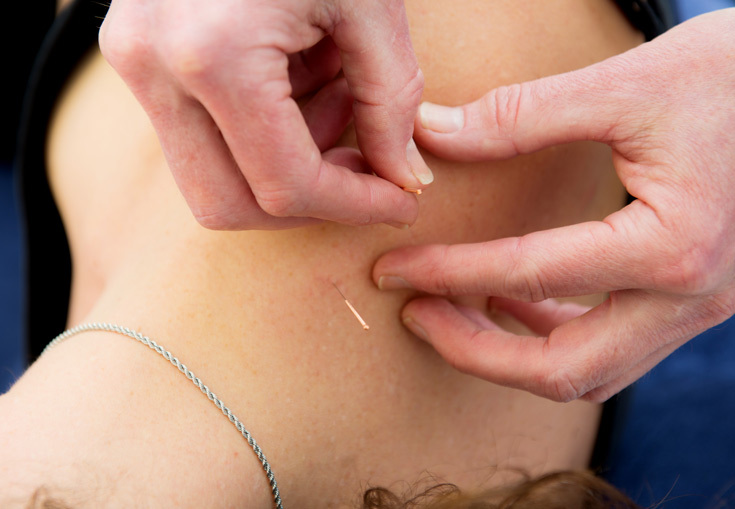 Acupuncture involves the application of single use, sterile and disposable needles at specific acupuncture points. The needles are particularly fine and normally cause very little sensation as they are applied. The exact location of the points used is based on a detailed assessment. A number of needles may be used at each treatment and are typically left in for 2-3 minutes. A normal regime would consist of 3-4 sessions. One advantage of acupuncture is that is has very few side effects and being non-pharmaceutical it can be used to control pain and reduce muscle spasm in individuals unable to tolerate certain medicines. If you would like to consider acupuncture treatment please call your surgery to make an appointment. Further information on acupuncture click here.